This is an english version of Løgnen der talte sandt.Sarah Palin’s claim the Obama’s so called health care reform will establish “death panels” has been voted “Lie of the Year” by PolitFact.com but is it a lie after all? 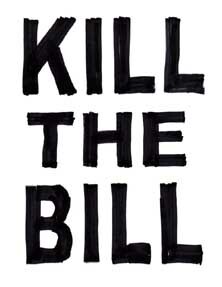 It may be true that the word “Death panel” does not figure in the bill. Obama may not be running panels and no one will ever stand in front of them because if Obama is clever he will copy the Danish system. In Denmark we have a system the encompass all the elements that Palin is afraid of. Instead of placing the responsibility with a few named and accountable people in a panel, the life and death decisions is distributed throughout the system between politicians, bureaucrats and doctors – but not the patients. But I also mentioned China. As oncologists say, I am a good candidate because my general health is as good as it is. But what is it now with China. I have previously refused to go abroad. My mother had the money so that we could send me abroad, where they could do something we cannot do in Denmark. But with a house that has not been sold in 2 1/2 years, there is barely any money for my mother to survive. I cannot put Michael in great debt to a treatment which we do not know could help. I am not THAT keen to live, that I will put others in large debts. But now there is a lot of people who organize private donations to go to China for treatment with great success. Is it fair of me to think that I collect from strangers, but will not put my husband in debt? Will it be §100,000 worth trying to keep me alive? Remember in Denmark we pay 48.3% of GNP in taxes. Only the very rich can afford additional health care to cover cases like this. Alternately you can read about Barbaras (Danish) who paid for her own treatment out of pocket. So here it is. There is a cancer treatment in China that may or may not work and this treatment is not available in Denmark and public health care does not pay for this in other countries. The treatment is especially attractive for cancer patients that has been given up by the system. Somebody – probably a group of doctors who could be labeled a panel – has decided to give up on a patient. Somebody in the system has decided not to make this treatment available in Denmark. Who that is is not clear but probably a group of doctors – a panel – decides to write or not to write a letter of recommendation. If the recommendation is positive it goes through the bureaucracy where each level can discard it. Eventually it could reach the Secretary of health or Parliament – the health committee could be called a panel. If no money is put forward in the process the treatment will not be available. If a treatment is not available i Denmark the patient can be sent to a foreign hospital after an individual assessment. The assessment starts at a public hospital supposed to have “the highest national special knowledge” about the condition. If they – a panel of doctors – recommend treatment in a foreign hospital. The basic conditions are that the treatment must not involve any research, mush not be experimental and must not be alternative. A panel of doctors and bureaucrats will most likely decide if a treatment falls in one of those categories. The recommendation from the experts must then be approved individually by The Danish National Board of Health and that could include a panel of experts but it is most likely a bureaucrat with an approve and a disapprove stamp. If approved the treatment can begin. And we have not even mentioned the waiting for each step. In Denmark the politicians have been clever enough not to create ‘a’ panel to make these decisions – they have spread the decision making process to an incomprehensible network of panels with public decision makers and bureaucrats so no one can be held accountable. Summing this up it is clear that the Danish health care system is heavily dependent on panels who collectively hold the power of life and death of patients. A system of death panels is necessary in at public health care system without any out of pocket payment. What would happen if the local Walmart was funded through taxes and out of pocket payment were abolished? The shelves would be empty in no time no matter how much everybody in the area were forced to pay every month. With no out of pocket payment some other method of regulating consumption must be employed and death panels solves this problem in health care. The reason for the resistance to the so called reform are to be found in in the fact that the American heath care system is built on heavily regulated private health care plans, many Americans have much more freedom and ability to by the coverage that suits them compared to Danes. The reform is not about giving health care to the poor or not, as it is portrayed in all Danish media. The poor have access to Medicaid or Medicare. The fight is about whom controls health care for all Americans: The citizens or the government. The “Lie of the Year” seems to reveal a lot about the reform.